Replacing kitchen stools is a relatively affordable way to make a big impact to the heart of your home. 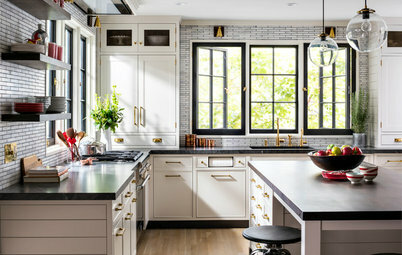 However, before you go and swap out one set of identical stools for another, you might want to take a gander at these eight kitchens featuring mixed and matched stools. 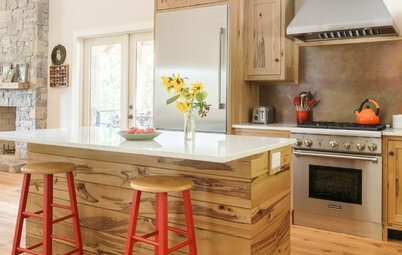 Whether selecting stools in different colors, styles or sizes, the designers of these kitchens were willing to break the mold. 1. The designer of this kitchen in Auckland, New Zealand, broke up its white color palette by commissioning a printed image to cover the backsplash and selecting four metal stools for the island in a variety of bold colors. 2. 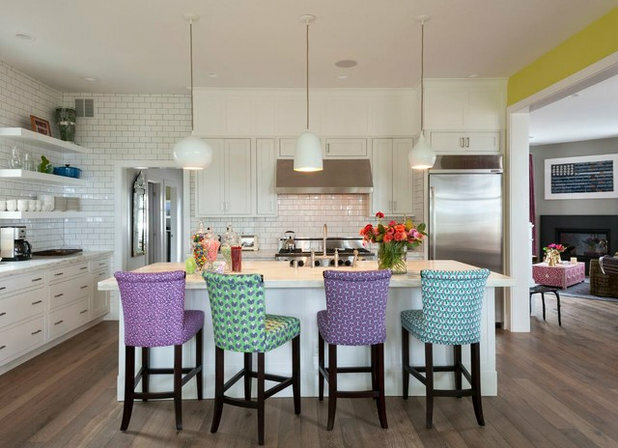 High-backed upholstered stools are a great way to add comfort, color and texture to a kitchen. The designer of this New York City kitchen went a step further by selecting four upholstered stools in various pastel shades, each in a slightly different print. 3. 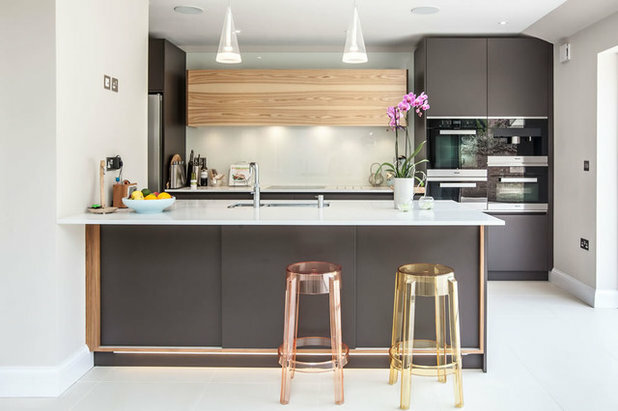 This stylish kitchen in London features a pair of acrylic counter stools, but they are clearly different from each other: One acrylic stool has a subtle pink hue while the other has a yellow tint. 4. 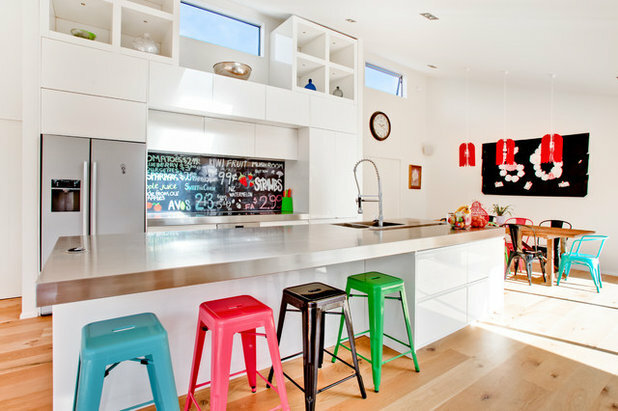 Mixing and matching backless kitchen stools and stools with backs can add visual interest by breaking up sightlines. 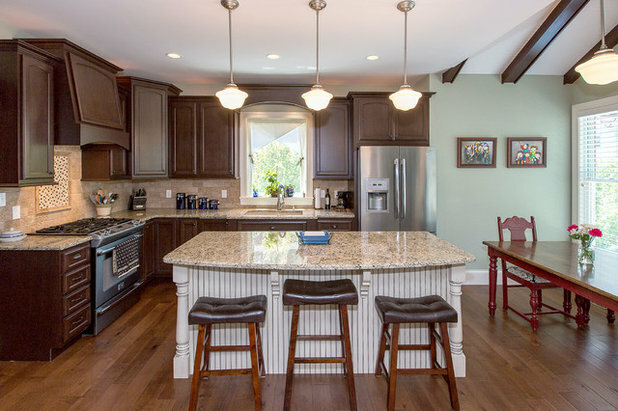 While stools with backs are generally considered more comfortable, backless stools can be tucked underneath the lip of the island, allowing easier access to the counter for prep work. This Omaha kitchen designed by JH Interior Design Studio features both backed and backless stools covered in a plum-colored linen upholstery. 5. 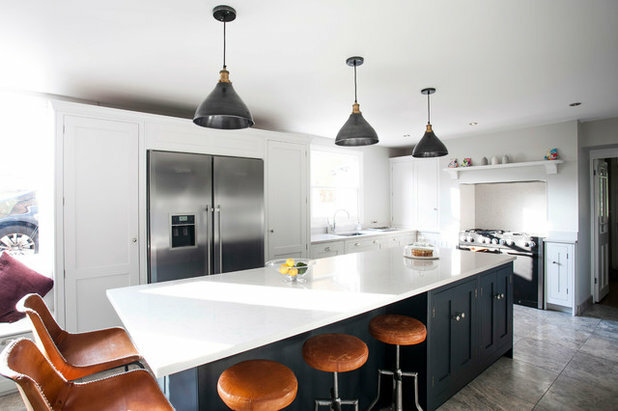 The design team at Burlanes Interiors selected backed and backless leather-topped stools for this stylish kitchen in Kent, England. The backless stools swivel, for even more function and fun. 6. 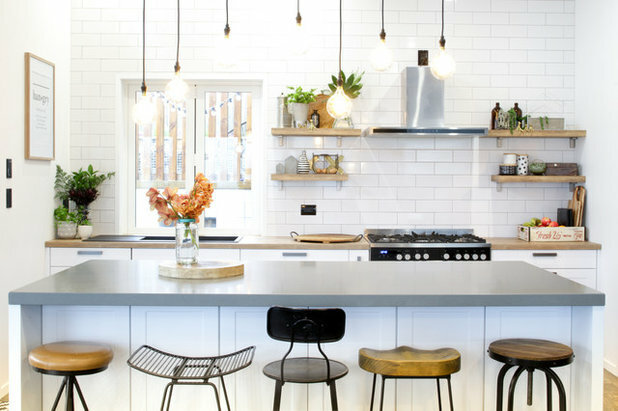 This chic kitchen in Waihi Beach, New Zealand, provides five types of industrial stools. Though made out of varied materials — including leather, wood and metal — the stools manage to look cohesive and complement the style of the kitchen rather than compete with it. 7. 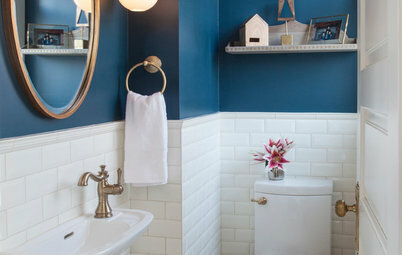 Sometimes it’s better to embrace the eclectic nature of a space than it is to fight it. 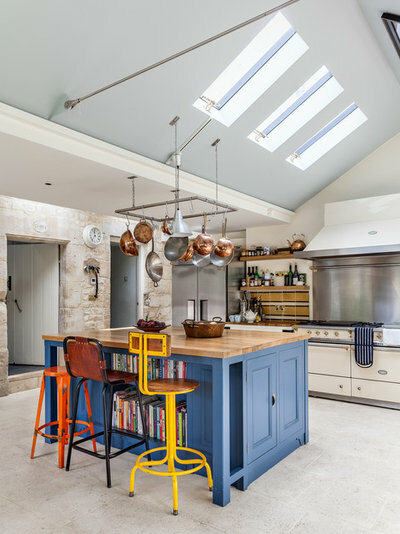 This London kitchen features a stone wall, a lofted ceiling with skylights, a blue-painted island with bookshelves and a large pot rack above with a collection of copper pots. 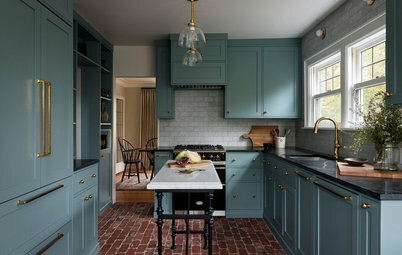 Therefore, the designer’s decision to add a trio of wildly different stools to the kitchen makes perfect sense. 8. 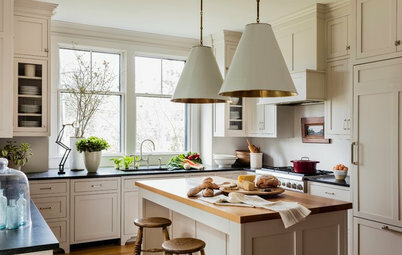 Whether to buy 24-inch counter stools or 30-inch bar stools for a kitchen island may seem like an easy question to answer — all you have to do is measure from the floor to top of the island and you should have your answer. But when you live in a house with little kids, those 24-inch counter stools might be too low for your favorite shorties. 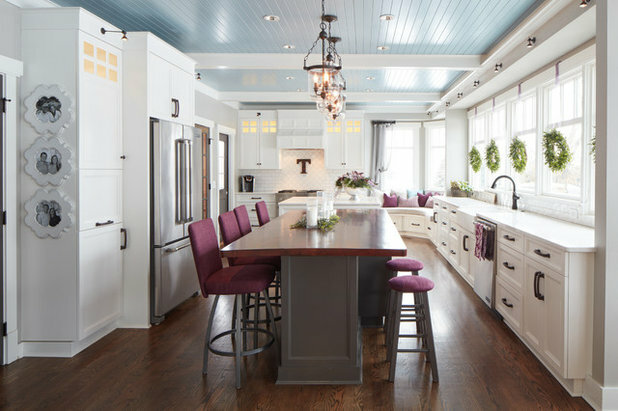 Take inspiration from the designer of this St. Louis kitchen, who added one 30-inch bar stool to a counter-height island to give the family’s little one the perfect perch. My OCD is in a frenzy right now! 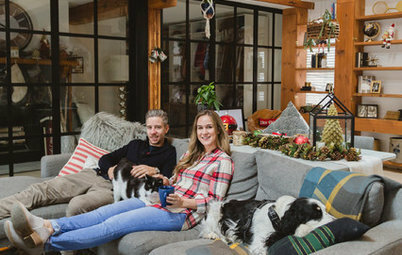 Thank you for including our kitchen design in this article! 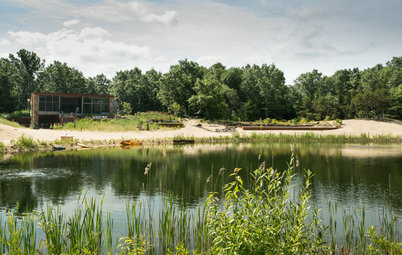 To see more of our designs, visit www.hibbshomes.com/gallery.